Your hunting license, Beretta turkey shotgun, and ammunition are at the very top of the ‘Must Have for Turkey Hunting’ list. However, there is a long list of other items you need and can use to help make the hunt more productive. Let’s start off with that shotgun. First of all, put a turkey choke in it, then take it to the range to pattern it on a target. When you do this make sure to use one of the turkey-load shotgun shells that you’ll be using during the hunt so you can see the actual performance of the shot. As you pattern, practice shooting from sticks, free-hand, or in a similar manner to that you’ll be using in the field. If you think you’re going to be belly-crawling, learn how to safely get into a prone, seated, or kneeling position. Test your shots at close (20 to 30 yards) and farther distances (50 to 60 yards), so you can see how effective you’ll be at various ranges. The list of camo attire extends to boots, hats, masks, and gloves. All of this should be in a pattern that is suitable to your environment and appropriate for the weather conditions. You may need rain gear or snow boots. When you look for hunting clothes, think durability and function. High-quality gear allows you to be comfortable in the elements and to slide through the brush without making a sound. If you’re just starting out, look for pants and hunting jackets that have compartments to store your calls, tools, shells, and other items. At some point, when you decide that you’re in love with turkey hunting, you’ll want to purchase a turkey hunting vest. Plenty of good pockets will suffice until you’re ready to make that commitment. With practice, you’ll learn to use various calls to entice a bird into shotgun range. There are pot calls, mouth reeds, box calls, wingbone calls and more. Each serves a hunter well on different occasions. Not only that, some hunters are better at a slate than a mouth reed, and others find the tone of a cluck from a box call to be precise. You’ll have to determine which call will be your go-to for your first hunts. Regardless of which call you choose, most require some care to keep them tuned for enticing bearded birds. Remember to take chalk, sandpaper, conditioning stones, and scratch pads as needed for maintaining your tools. 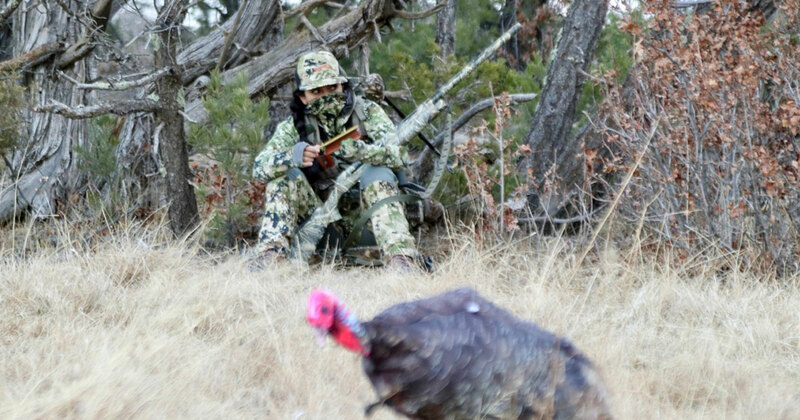 An imposter in the field can be just the key to fooling a gobbler into that last few yards. Decoys can be attractors and distractors. A strutting tom may focus on fighting a jake or breading a hen. 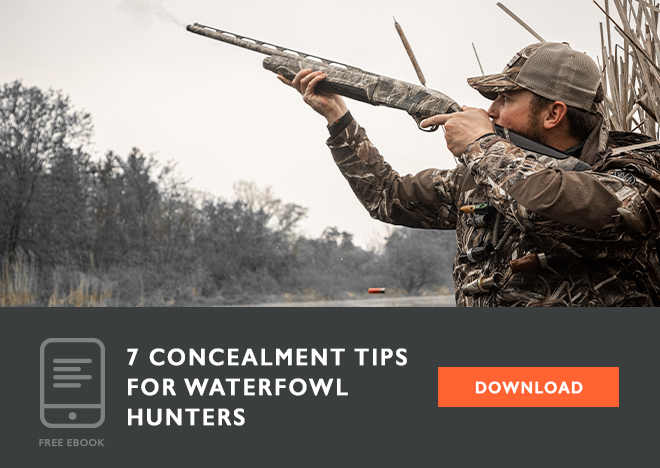 With its focus on your decoy, you’ll have a moment to pull your Beretta to your shoulder for a shot. Take heed in using a full-strut turkey decoy as they can be intimidating, causing a non-aggressive tom to head for the hills. Light-weight, collapsible decoys fit nicely in the rear pockets of hunting vests and are easy to haul around in the woods. Camo netting comes in handy for spot and stalk hunts. You can drape it atop bushes for a quick makeshift blind. Pop-up blinds can be erected rapidly, or you can set them up before the hunt. Box blinds can be left in the field year-round. Sometimes we need to go to the birds. At these moments we need to look for bushes, brush, and tall grass for concealment. Your list of other items may differ from mine. Tops on my list are water and snacks. Turkeys hear extremely well. Think quiet for these items. Whether you’re co-hunting or alone, cottonmouth or a rumbly belly can be big distractions. After being indoors all winter, our skin isn’t accustomed to blazing UV rays; remember your sunscreen and lip balm. Allergy meds are necessary when those springtime blooms cause noses to run. There’s nothing worse than a snotty face mask, which leads me to the last, but of course not least important item, mountain money (aka tissue paper). Put it in a secret pouch because you never know when you’ll need it. You may want to add binoculars, a rangefinder, a knife, multi-tool, and as I mentioned before, always take your hunting license. Get yourself geared up and ready to go! It’s almost time to chase those thunder chickens, gobblers, rumbling drummers, or whatever name you choose to label those bearded turkeys. Good luck. Be safe. Have fun.